You are here: Home / Disney Star And Celebrity News / It’s #TripleCrushTuesday With The Casts Of MTV’s ‘Happyland’, ‘Awkward’ + ‘Faking It’! It’s #TripleCrushTuesday With The Casts Of MTV’s ‘Happyland’, ‘Awkward’ + ‘Faking It’! 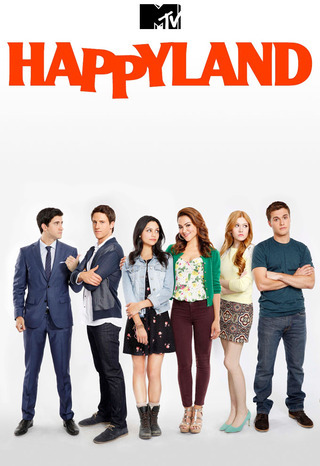 Are you a fan of MTV’s newest Happyland? What about Faking It or Awkward? Fans of all three are bound to bustle with excitement with #TripleCrushTuesday! All of these great series are premiering new episodes tonight (October 7th) beginning at 10/9c on MTV. Not only will you be able to enjoy watching the new eps, but the casts of these popular shows are live tweeting along! Katherine McNamara, one of the stars of Happyland, tweeted the exciting news! It’s #TripleCrushTuesday!! I’m live tweeting with the casts of @mtvawkward + @mtvfakingit + @mtvhappyland. Tweet and watch with us at 10/9c! Will you be joining the live tweeting? « Bella Thorne Stands Out In Orange Dress For Disney’s ‘Alexander’ Movie Premiere – Pics Here!